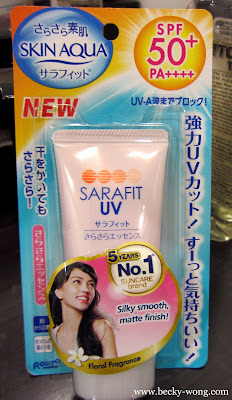 One of the essential skincare it ones beauty regime is having a good sunscreen. With the climate changes and weather going crazy over the years, it's very important to apply sunscreen both indoors and outdoors. 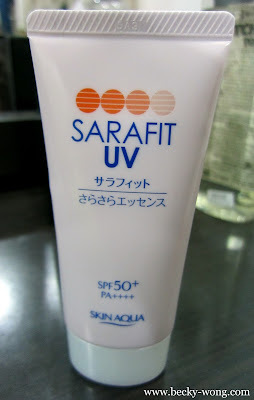 No matter where I go, applying sunscreen is a must and thanks to Sunplay, I had the chance to try out the Skin Aqua Sarafit UV SPF50+ PA++++. Skin Aqua Sarafit UV from Japan is formulated using the double silky powder technology. This means NO MORE feeling of greasiness and stickiness even after you sweat. Offer the highest protection against UVA with its 4PA+ to protect against UVA rays which is the main cause of premature aging. 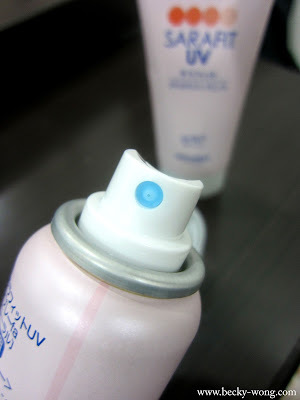 Ultra-light silky smooth matte finish texture makes it an ideal for daily use in hot and humid weather. Ensure skin remains hydrated throughout the day. Enriched with Hyaluronic Acid and Super Hyaluronic Acid that helps deliver long lasting hydration by targeting different layers of the skin. Collage infused to help improves skin elasticity while keeping the skin smooth and youthful-looking. 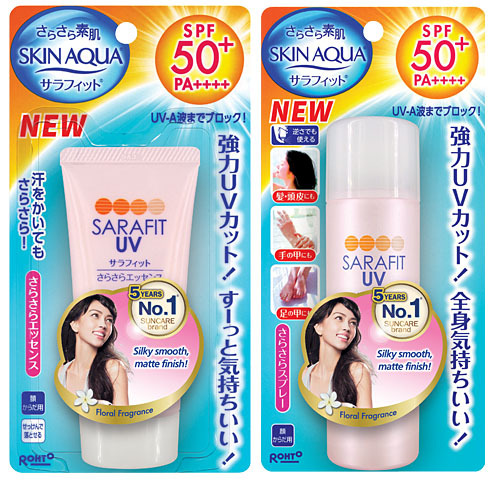 The Sunplay Skin Aqua Sarafit UV range consists of Skin Aqua Sarafit UV Essence and Skin Aqua Sarafit UV Mist. 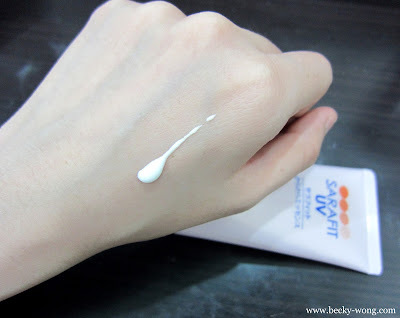 The texture felt a little bit thick at first, but it spread easily on the face, and I was surprised how fast it got absorbed without leaving any sticky feeling or white reside on skin. On top of being a sunscreen, it can be used as a makeup base too. The Skin Aqua Sarafit UV Mist SPF 50+ PA++++ (RM 42.30, 50gm) is in a mist form which is convenient to apply as you can just apply by spraying the sunscreen onto your skin from any angle. Apart from the skin, the mist is also suitable to be used on the hair and scalp since it's light-weight, and does not clog the pores. It's also easily washed off using any regular shampoo. 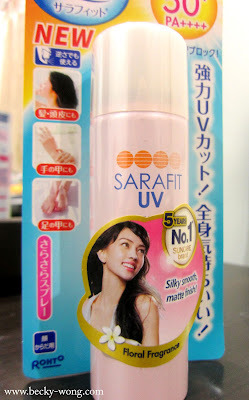 Not only our skin needs protection from the harmful UV ray, but our hair and scalp too! Same as the essence, the texture of the mist was really light and absorbed easily into the skin. 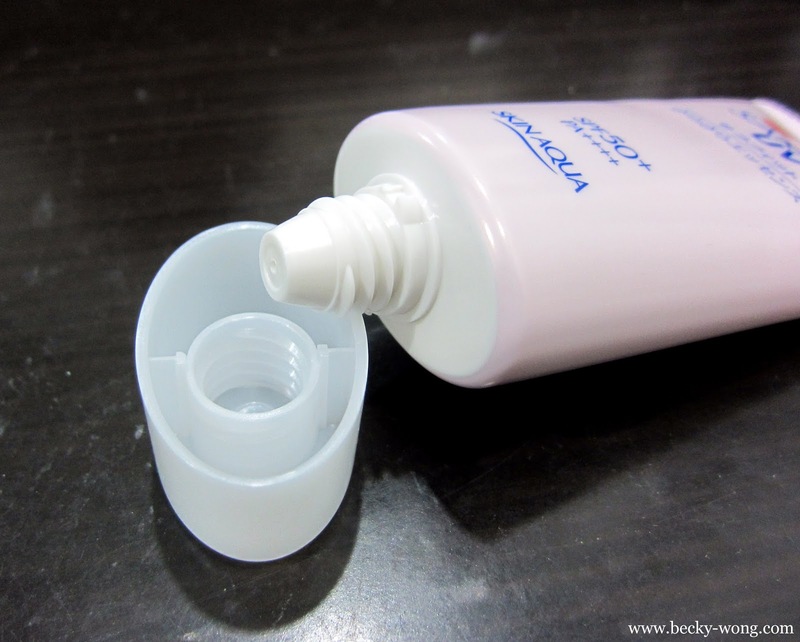 It doesn't leave any sticky residue and it's really convenient to use. Shake the can for about 4-5 times and you can start applying the mist. A friendly reminder, DO NOT spray directly onto the face. 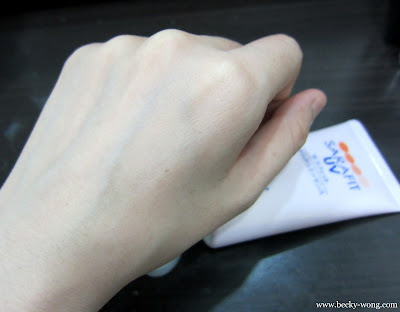 Instead, spray onto the hand and apply to the face. 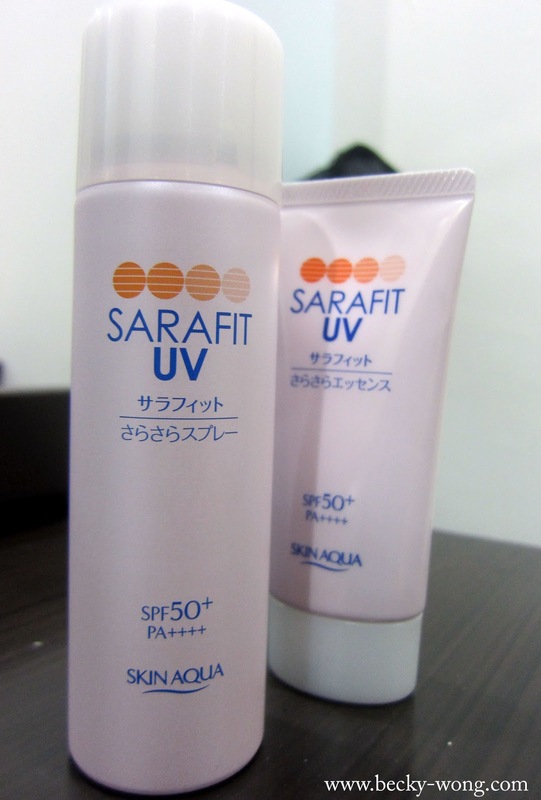 Both of the sunscreen are alcohol free, colorant free and mineral oil free. 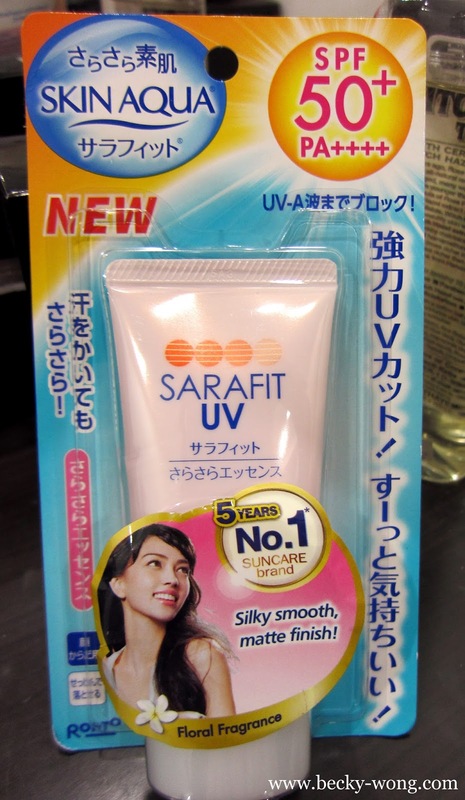 It's suitable for all skin types. You can grab one of these from one of the leading pharmacies and supermarket.